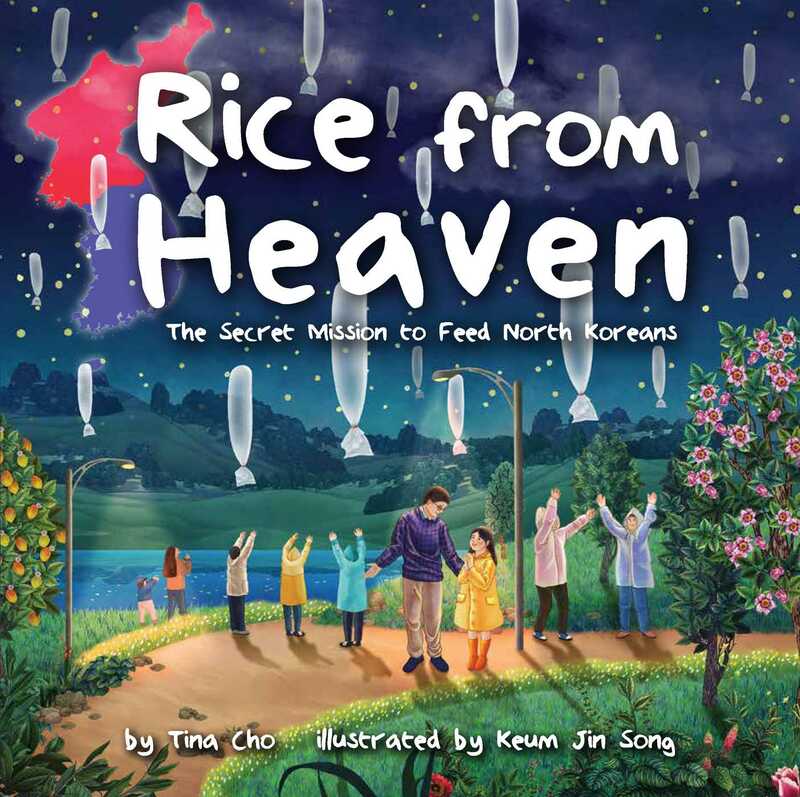 Rice from Heaven is a true story about compassion and bravery as a young girl and her community in South Korea help deliver rice via balloons to the starving and oppressed people in North Korea. "We reach a place where mountains become a wall. A wall so high, no one dares to climb. Beyond that wall and across the sea live children just like me, except they do not have food to eat." Yoori lives in South Korea and doesn't know what North Korea is like, but her father (Appa) does. Appa grew up in North Korea, where he did not have enough food to eat. Starving, he fled to South Korea in search of a better life. Yoori doesn't know how she can help as she's only a little "grain of rice" herself, but Appa tells her that they can secretly help the starving people by sending special balloons that carry rice over the border. Villagers glare and grumble, and children protest feeding the enemy, but Yoori doesn't back down. She has to help. People right over the border don't have food. No rice, and no green fields. With renewed spirit, volunteers gather in groups, fill the balloons with air, and tie the Styrofoam containers filled with rice to the tails of the balloons. With a little push, the balloons soar up and over the border, carrying rice in the darkness of the night over to North Korea.